From November 29-30 of 2017, the nation’s leading patient experience professionals met at NGPX (Next Generation Patient Experience) in San Diego, California, to discover the future of patient-centered healthcare in the United States. We were active presenters and participants at the conference, and were thrilled to share our ideas and learn from other experts in the field. If you were unable to attend, or were there and would like to get a different perspective, here are the three most important themes from the conference that we discovered. 1. Because the patient experience crosses departments, interdisciplinary teams are essential to successful programs. One of the key themes across NGPX was creating patient experience initiatives that span departments. While the clinical experience is inarguably a foundational touchpoint in patient and family satisfaction, other interactions with hospitals and health systems can make or break the overall patient experience. Many teams are even broadening their patient experience initiatives beyond clinical and financial management teams. At Hackensack Meridian Health for example, Chief Experience Officer Nancy Corcoran-Davidoff has included their marketing department in an interdisciplinary team focused on improving the patient experience. The key takeaway is that the patient experience is a hospital-wide endeavour, and including key stakeholders across departments creates the necessary buy-in to improve the patient experience at all touchpoints. 2. Look to other industries—especially retail—to understand what patients see as the “ideal” patient experience. Traditionally, patient experience professionals have looked to the hospitality space to provide insight into a better customer experience. However, as rising deductibles and copays have made patients become consumers of their healthcare, retail is now the most realistic and direct comparison for today’s patient expectations. The key takeaway is that offering the same customer service that makes patients choose to shop at retailers like Amazon or Target will also motivate them to choose a hospital or health system for medical care. 3. Begin every ‘experience’ project with patient-centered design. Many of the speakers at NGPX talked about how they are implementing patient experience initiatives at their health systems and hospitals. 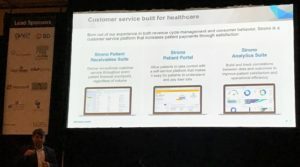 Across these presentations, one methodology stood out for designing successful patient experience programs: creating the entire experience with the patient as the focal point from start to finish. In many cases, the presenters had to wipe the slate clean of operations-based design and start from scratch. From bedside manner to patient-facing technology, if the patient’s perspective shaped the initiative, and the impact on the patient was the main priority, programs were far more likely to succeed. Change can be difficult, so, as speaker James Grayson said, you can “break” a system or program down and rebuild it for today’s patients, but make sure you don’t shatter it. The key takeaway is that patient experience initiatives must be designed with the patient’s perspectives, wants and needs as the primary drivers. Otherwise, expect the impact of programs to be marginal at best. Interested in learning more about the most important patient experience trends from NGPX? 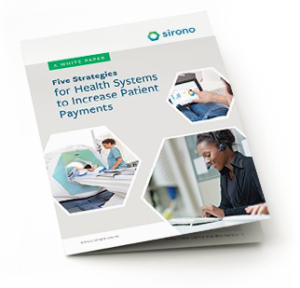 Download our whitepaper and see the how you can shape the patient experience with a consumer focus.